Home › Christian › Religion Gone Stupid! This is a repost from last year, but being as Mardi Gras is once again upon us I felt the need to have a repeat. I know this particular post might offend some, but I assure you that offense is not my intent. However, this particular subject has puzzled me for the past twenty-seven years which is the amount of time I have been living in Louisiana. The subject in question involves Mardi Gras. Before I begin, this post is NOT an attack of those who are of the Catholic faith. Nor is it focused on those individuals who enjoy watching or participating in the many family oriented parades associated with Mardi Gras. Although considered to be primarily a Catholic event to celebrate the last day before Lent (a forty day fasting period), Mardi Gras has gained popularity among Christians of all denominations. In past times, from what I understand, Mardi Gras (French for “Fat Tuesday”) was adopted from other cultures and served as a time to enjoy certain foods which were to be given up for Lent. For instance, if a family was giving up eggs, meats, or other perishable foods for the forty days of Lent, then it made sense to have a last “Hurrah,” so to speak, by eating those foods and not let them spoil. However, the “Last Hurrah,” somehow took a turn among many in the Christian community. To many it has become a free for all, no holds barred, sin fest. Years ago, I was chit chatting with a woman who is a professing Christian. Somehow the conversation turned to Mardi Gras. Having lived in Georgia and Alabama for much of my youth, I was not familiar with Mardi Gras and asked her what it was all about. As she spoke about the celebrations, floats, Cajun music, and more, her eyes lit up. I could tell she really enjoyed the celebration. She made it sound really fun….until! Having not learned the art of restraining my tongue while my brain processed the information, I blurted out something to the affect of, “That is about the most stupid thing I have ever heard. That is religion gone stupid.” For some odd reason, that was our last conversation. I never understood it either Pat. Wow! Being from California, I had no idea! I’ve never even had the desire to experience the event. Being a Christian, I’ve always been kind of turned off to what I imagine happens there. I do however, eat a lot of candy and junk food right before I start a diet…I guess that helps me understand the motive. However, I’m not a big fan of things that are contradictory to scripture. Some of the biggest lies I’ve ever been told I heard at church. That verse just leaped out and smacked me (figuratively of course). It definitely has implications against the Mardi Gras experience that you described. I’ve never understood even as a nonbeliever how perversions came into being from a religious root. I’m guessing that to those who do not know the Lord, the celebration of Mardi Gras and other similar festivals is a way of having their cake and eating it too. The perversion is to eat the cake and the religious symbolism is a way to temporarily soothe the conscience. I agree with you Patrick. Dead on. I just worked one of the parades last week. They estimated around a half million present. Wow. You worked it? What do you do Patrick? Shreveport Fire Department. I am now in the EMS Division but was a firefighter/driver. I live in Louisiana and will say that most of the people I know don’t think that deeply about Mardi Gras or what it’s really about, they just do the parades and have fun. That being said, the whole idea of a free day to sin is as un-Christian as anything can be. Good post and good food for thought. Thanks James. You are absolutely right about most not thinking about its meaning. Many go to have fun and that is it. However, working the emergency medical side of the parade, I get to deal with the wild side. My daughters are in a matching band and we’re both in the parade last year so my wife and I volunteered to march along as chaperones. Unbelievable what we saw and this was Shreveport, not New Orleans. Sorry about the typo in my last comment, should have been were. Small world. I probably saw yall. I’m with Shreveport Fire but was working at the police bus. I totally don’t understand how someone can profess to being a Christian then they are busy searching for a day to get a pass to sin or get it all out? It almost sounds as if the choice to be a Christian is forced on her and she is living her life for someone else. We humans are totally excellent in skewing things out of context. Hi Jacqueline. I live in the South. Practically everyone you talk to in the South is Christian…just ask them. 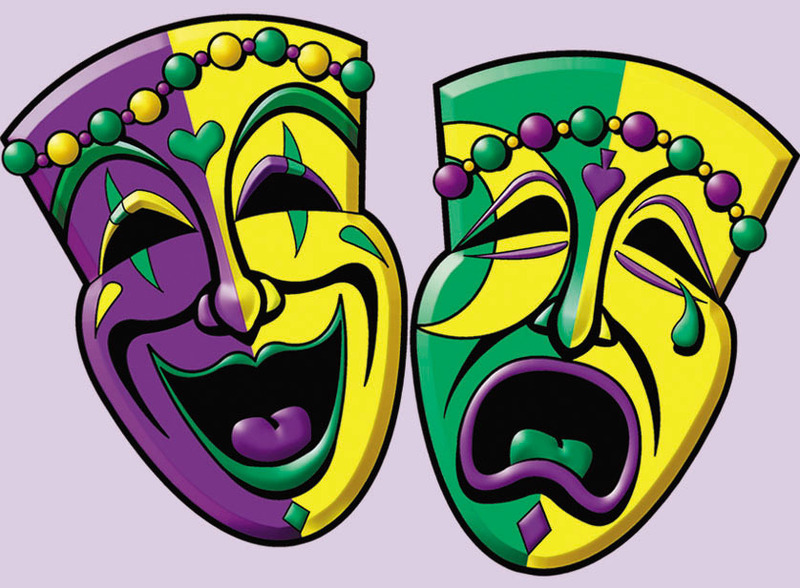 You are right and this post isn’t just about Mardi Gras but a whole mentality of believing that God’s grace will cover us even when we are living a life contrary to His Word. Well, to be honest, I believe this one lady walked under the cloak of religion but had no clue as to who Jesus is. And, you are right about the tv commercials. Who would have ever thought we would see viagra commercials and Victoria’s non secrets on regular tv?